Farewell October! It has been a beautiful month here. Its definitely over, though. Beggars’ Night was last night, only because tonight is a big high school cross-county football game, and snow is predicted. If you look strictly at my sewing goals, I don’t seem too productive, but there were a few bonus scrap quilts in there. 1. Finish those last few box pouches. No. I looked at them a few times. 2. Cut scraps for Scrap-in-a-Box. Yes! All ready for January! 3. Quilt and finish the Slow Quilt. No, but I made progress. Tabling it for now. The weather did not hold me back this month, but my painful knees did. I can sit comfortably at the machine (standing to cut is harder), but I’ve been so exhausted and achy from regular garden and house chores that I’m not feeling the mojo. 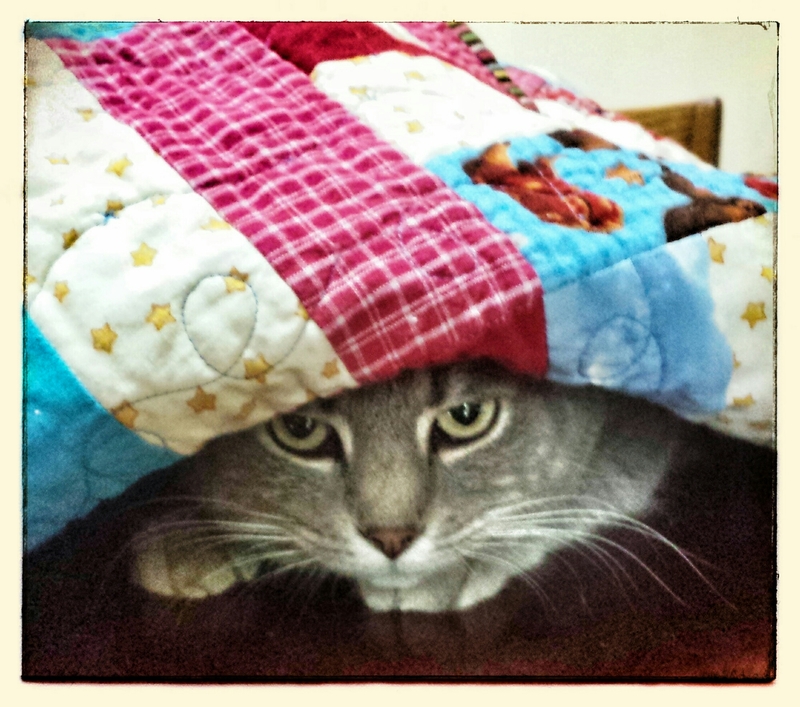 I put quite a bit of effort toward the Slow Quilt. I pieced the back and batting (one seam each, but large to drag around). I used soluble thread to sew a layer of poly batting to the back of the top for trapunto. I am ready to trim it away, but I just don’t think I have the patience right now, and I’m afraid I’ll ruin it, so I’m setting it aside. I will continue to mull over quilting ideas. 1. Finish those box pouches! 2. Make something with curved piecing. Maybe purple and lime? 3. Make some pillowcases for ConKerr Cancer. How did your month go? Hope you made all the progress you wanted. Have a great November. 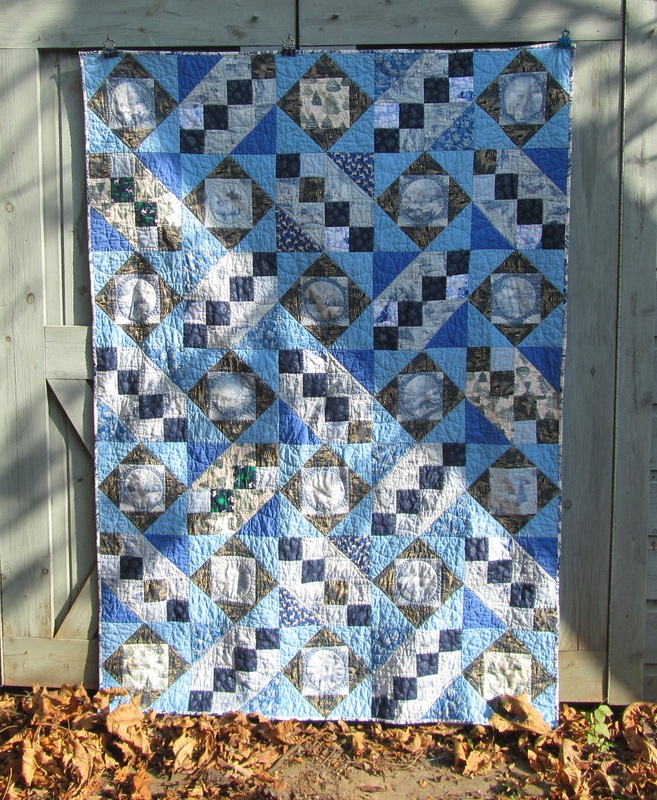 Yesterday I finished and washed up Blue Christmas, another in my series of procrastination scrap quilts as I ponder the quilting for the Slow Quilt. In going through my Christmas and pine cone fabrics, I discovered an untidy pile of blue holiday and winter fabrics. Two of them were coordinating fabrics with vignettes that I have previously fussy cut, hence the messiness. I wanted to fussy-cut them again, but wanted something different from my framed squares quilts (see Christmas Birds and Christmas Plaid). I was intrigued by the Economy Block (square-in-a-square) craziness from earlier in the year, and I thought it would display this fabric really well. 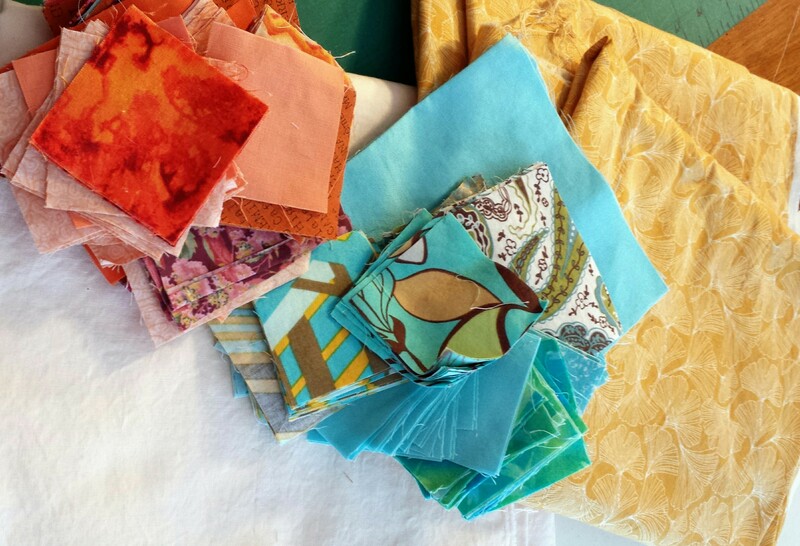 I stumbled across a great tutorial at Catbird Quilts. Melanie gives a lot of info about the math and construction, and then does the math for us, creating a table for various sized blocks. She also has a link to seventeen different sets she designed for this block, and I stole the very best one, Jewel Box. Go there and look at this great stuff. I had already made mine up on EQ7 and used their rotary cutting directions, which make the block to size, without trimming, so I didn’t try out her measurements. 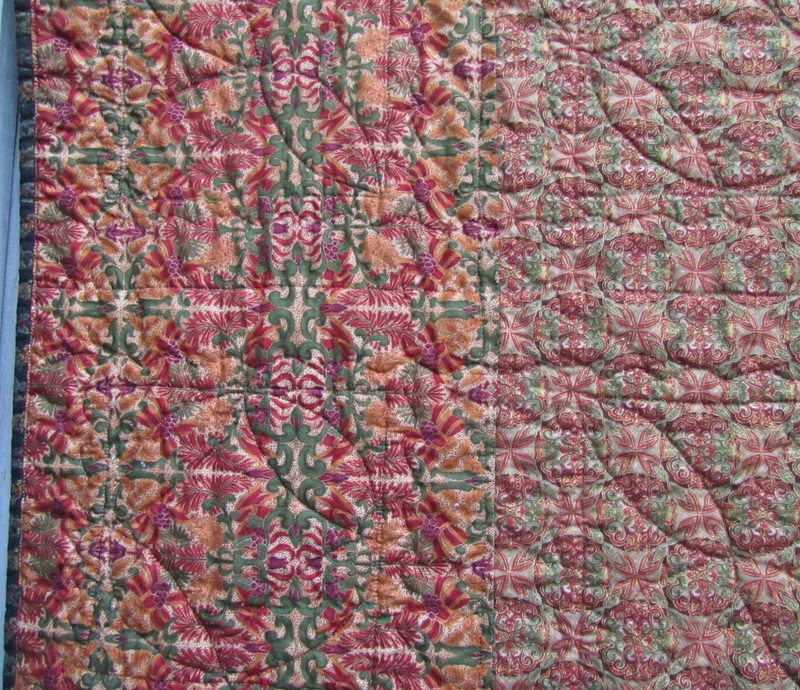 This is quilt was straight forward and easy to sew, although it does require a tad of pinning, unlike my previous two. I ran into a couple of snags, but that was just me. First, just as I was congratulating myself for using up nearly every bit of the fabric, I discovered that I hadn’t made enough blocks. It’s not that I can’t multiply; it’s that I can’t remember the total I planned to make for a particular quilt. I’m going to have to start posting a sticky note above my cutting table instead of trusting my brain. So out of almost no fabric I had to come up with six more blocks, three of each. 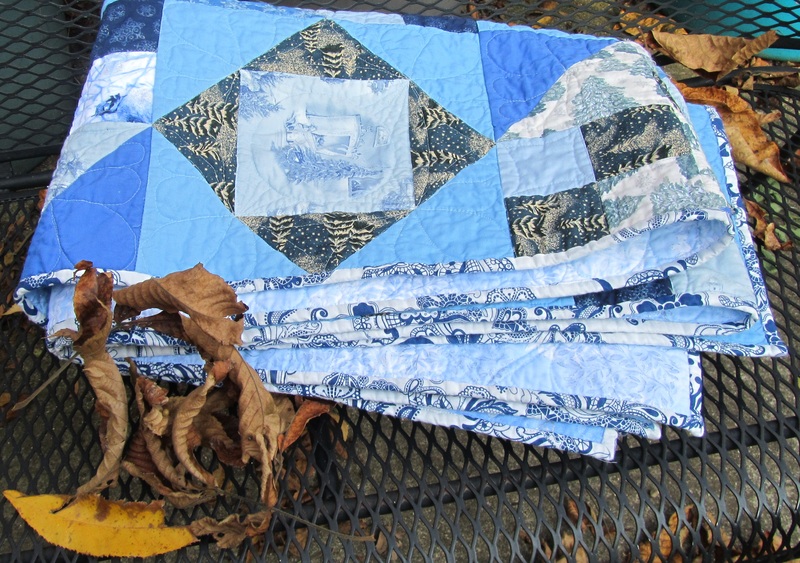 I dove back into the Christmas Scrap Locker and came up with some soft green and bits of navy and green reindeer to add into the previously all blue quilt. Fortunately, I had more of the darker solids I was using. And I like the way it turned out. 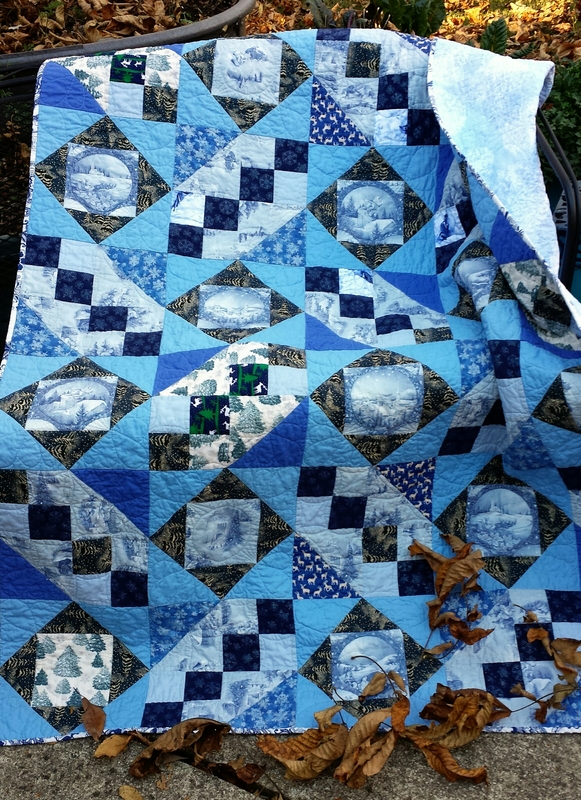 The other problem was with the quilting thread. I honestly think I got a bad cone of Bottom Line. I hadn’t changed my machine settings at all, but when I opened this new cone of light blue and started in, it did nothing but shred and twist and break. New needle, rethreading, changing tension, etc., nothing really helped. I slowed down and tried not to cuss too much, and it turned out okay, but with a lot more stops and starts than I like. I see some tails and thread boogers I still need to clean up. 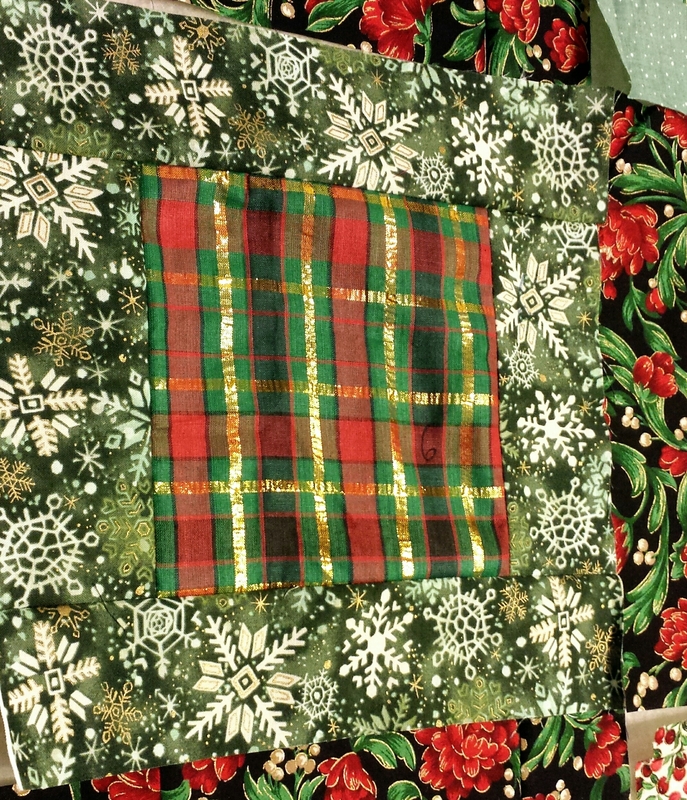 I’m not sure the photos show it, but this quilt has lots glitter and metallic accents on it, besides all the Christmas motifs. And the back is a glittery, almost snow-flaky fabric for which I was glad to find a home. 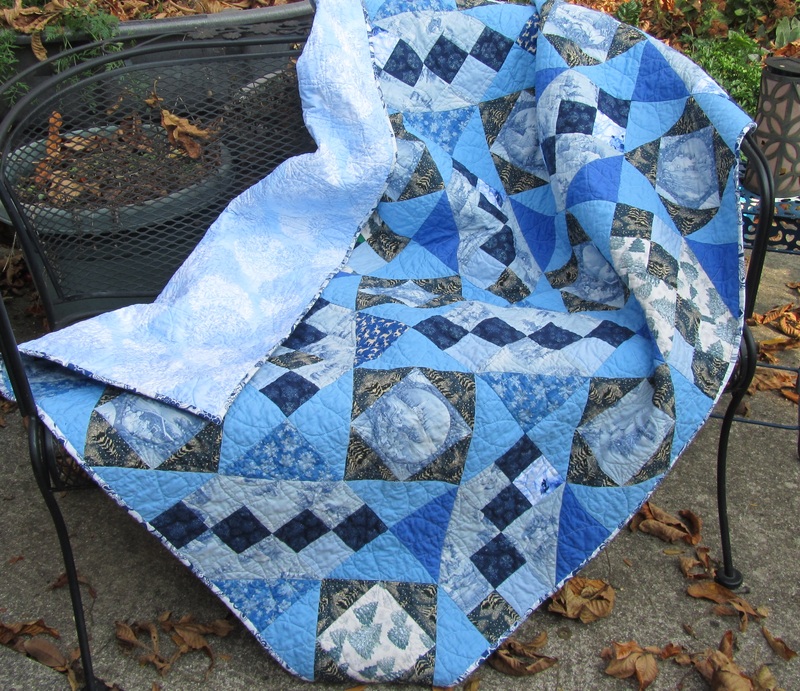 Blue is not a color I use that often, but I like this quilt. 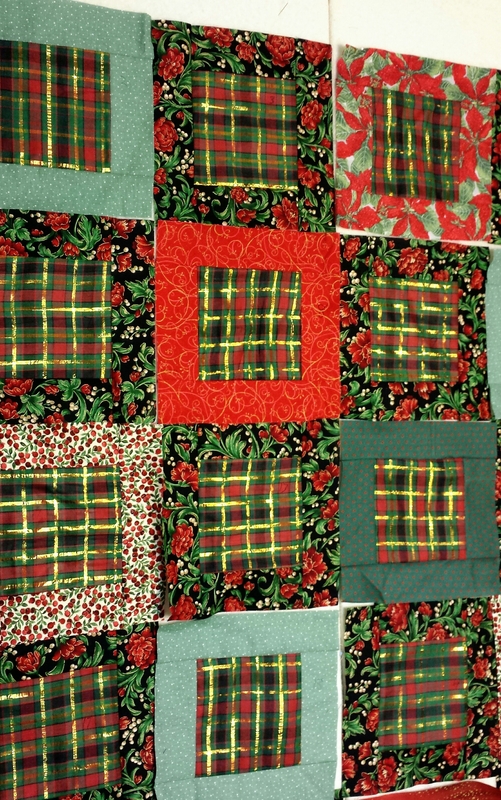 So, this may be the last Christmas scrap quilt this year… Who knows? But I am making inroads into that old Christmas fabric! Hope you are finding some time to sew and meeting some of your goals! 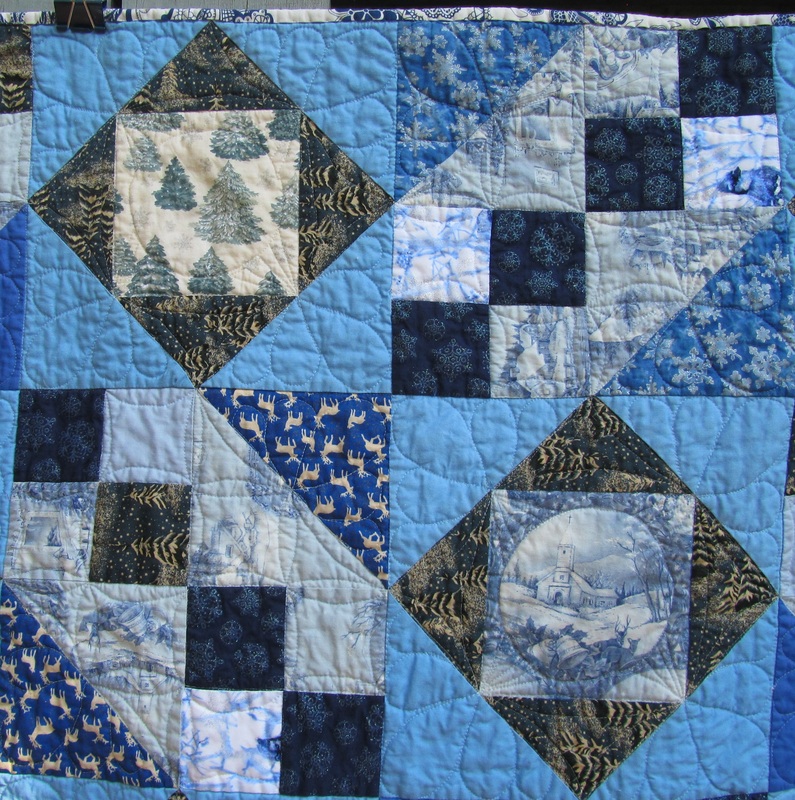 Categories: Finishes | Tags: blue christmas, christmas quilt, Evening in the Garden, Valerie Root | Permalink. 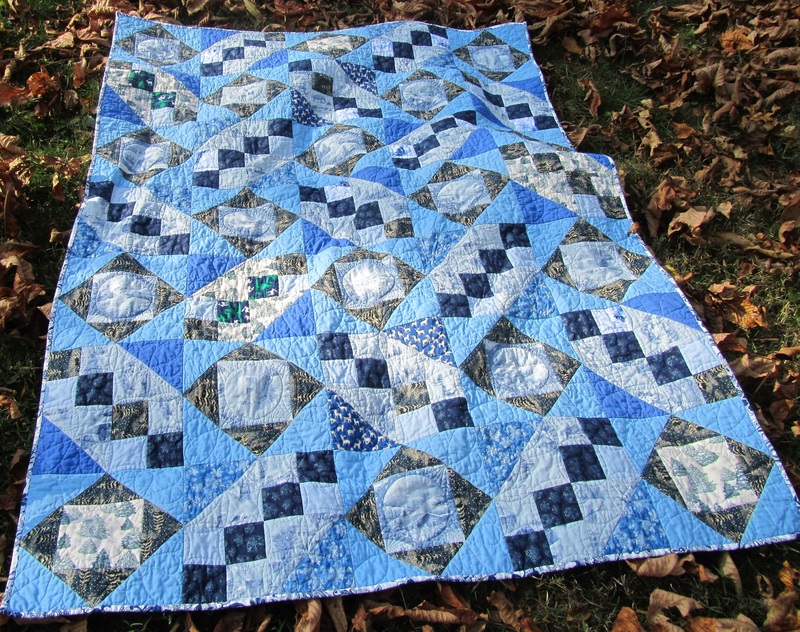 As I stopped and started repeatedly on another project, I filled in the time by creating this Blue Christmas quilt. More photos and a post soon when the light is better. It used seven and a half yards, and I didn’t buy a thing. Can I make one hundred? We’ll see! Carry on with your destashing! I’m linking up with Sunday Stash Report at Patchwork Times. 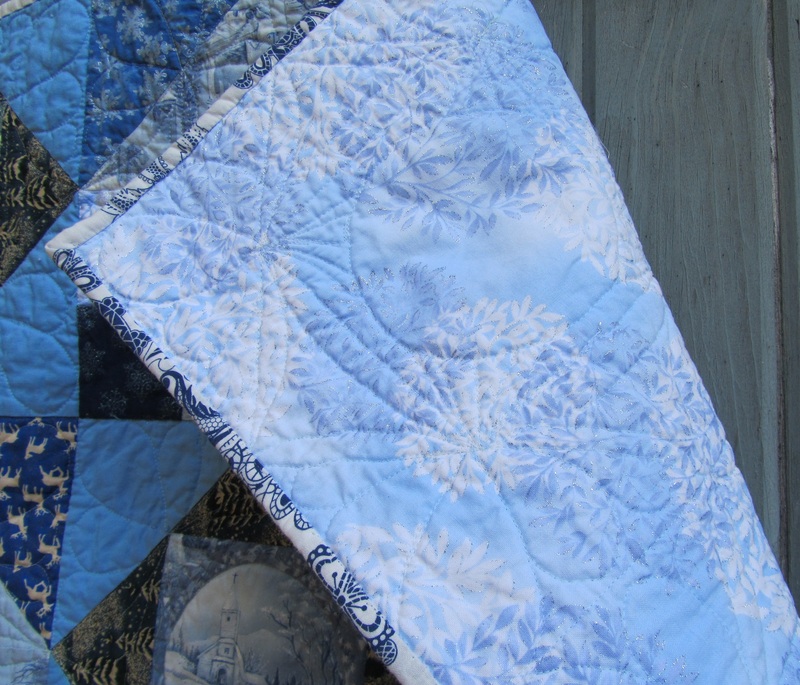 Categories: Stash | Tags: blue christmas, christmas quilt, Evening in the Garden, Valerie Root | Permalink. Nothing in this week, but two yards out. I’m sending some strips to Darla for a project. Otherwise, we’ve been a bit lazy about sewing. Also, purple. Why do I have so much and so many shades of purple? Hmmm. Purple and lime? Well, if this happens, you’ve been warned! Have a great week, and use that stash! I’m linking up with Sunday Stash Report at Patchwork Times. Categories: Stash | Tags: Evening in the Garden, Valerie Root | Permalink. 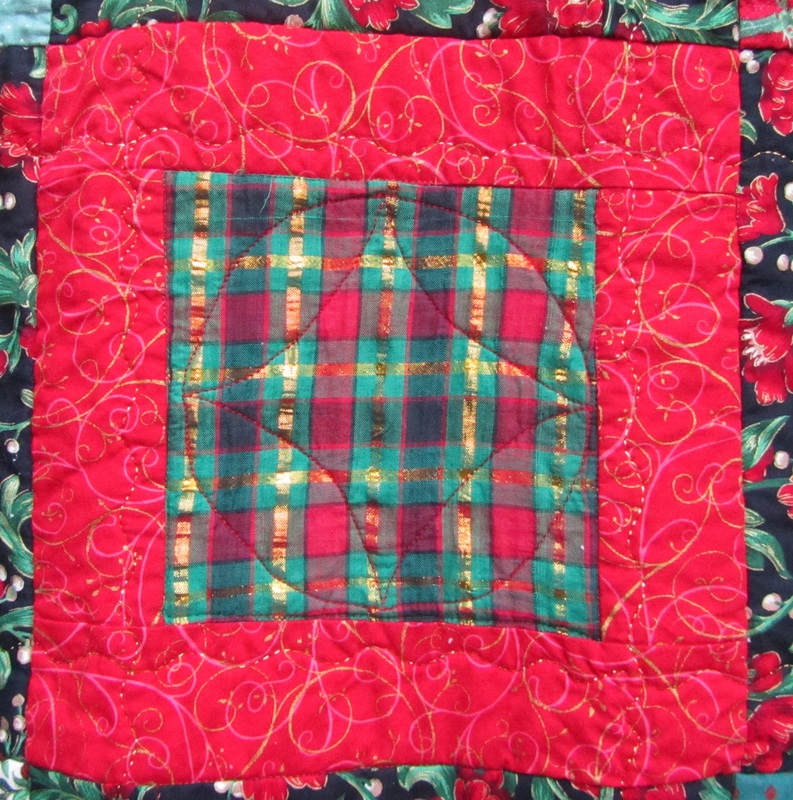 This week I used 8.5 yards from stash for the Christmas Plaid quilt. 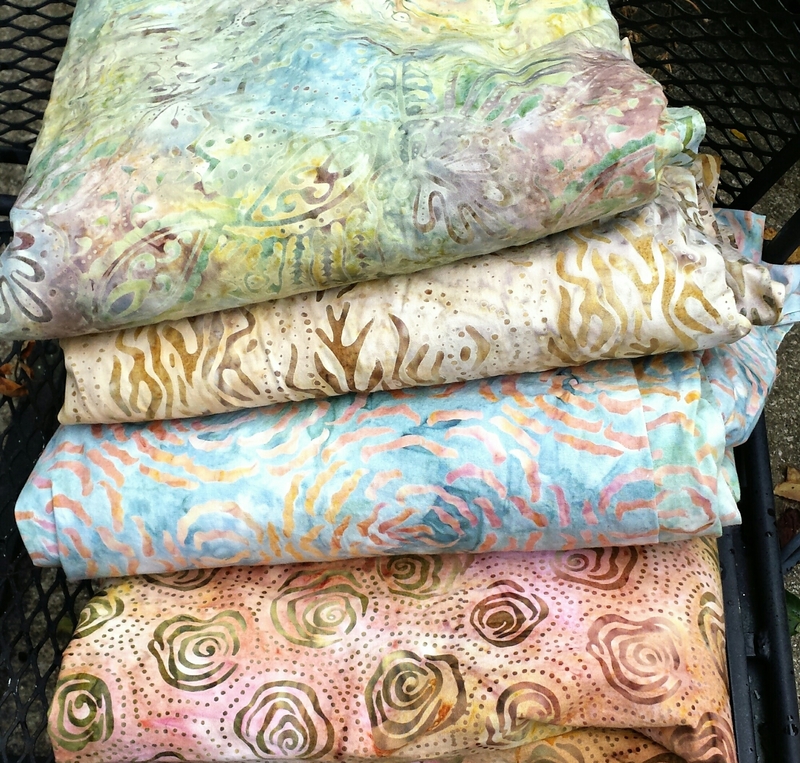 Also, 18 yards of batiks arrived from Hancocks of Paducah, but I’m not sorry. At $3.99/yd, these will make some gorgeous backs. A minor setback for the numbers. Still two and a half months to go! Lots of time to use more! 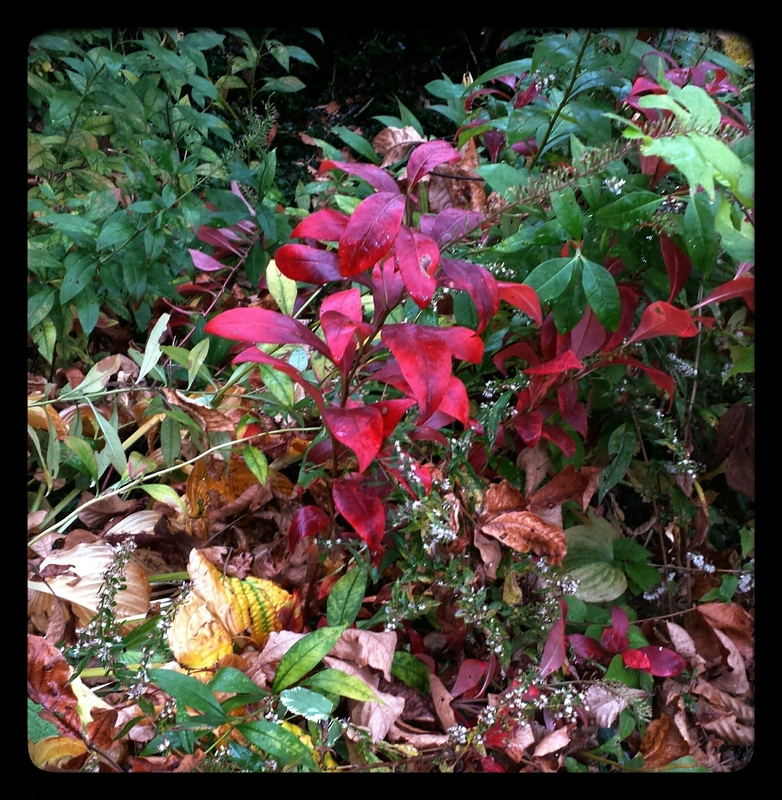 Categories: Stash | Tags: Evening in the Garden, stash, Valerie Root | Permalink. 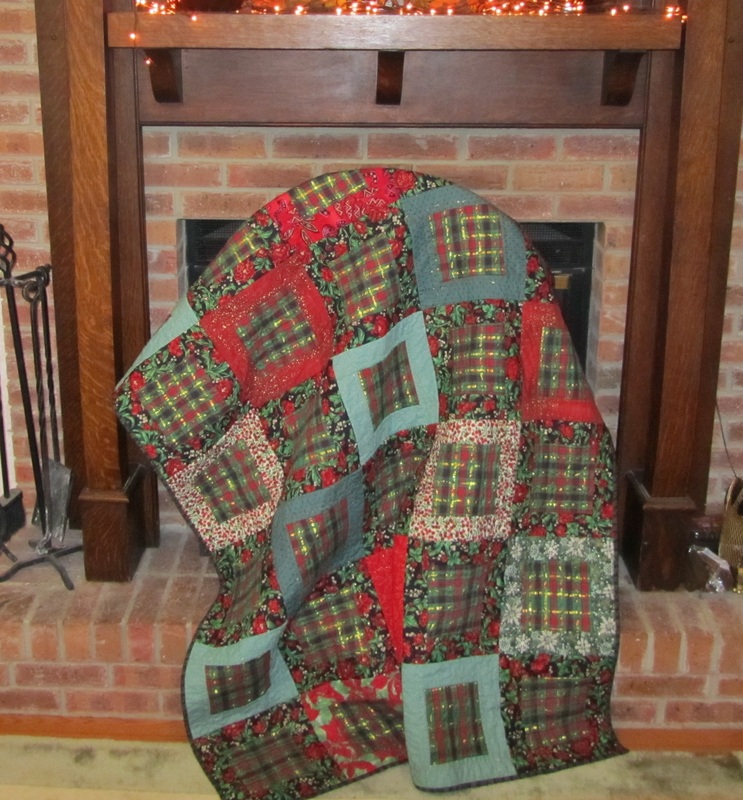 Yesterday I finished the Christmas Plaid quilt. I think maybe it looks better in person, with all its bling, than in the photos. It’s a lot darker cozier than Christmas Birds, kind of Dickensian. 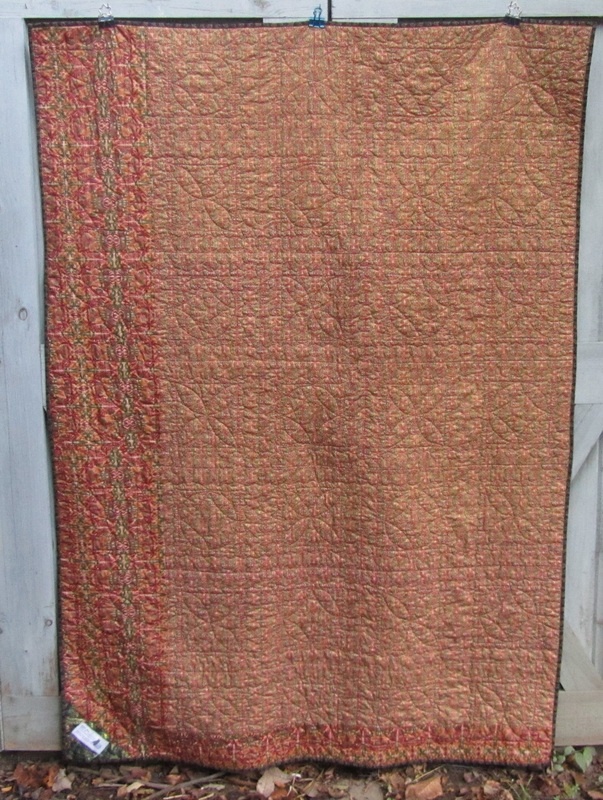 This quilt is 50″ x 70″, quilted with Superior “Glitter” , “New Brites” , and “Bottom Line” threads. 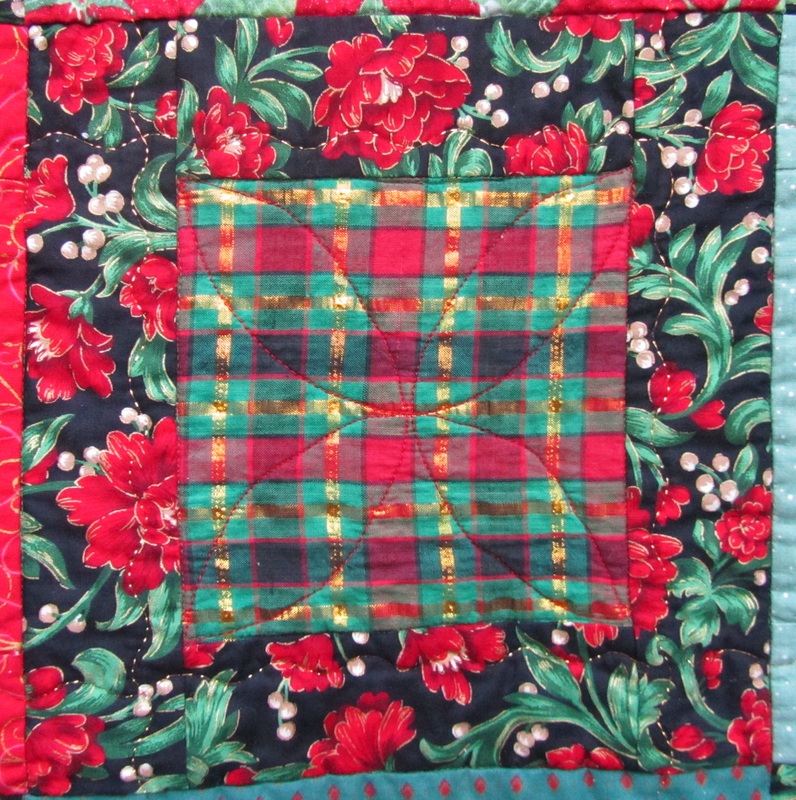 The plaid fabric continued to be uncooperative (see my whining here). I probably should have interfaced it. It washed up fine, though, and is all neat and square, in spite of how squishy some of these blocks look. The backing looks kind of brown, doesn’t it? I used a rose beige thread on the bottom, and had a lot of trouble even seeing it, it blended so well. Actually, it is a pair of unrelated but very coordinating red, green, gold, and white Christmas prints. I think they were my mother’s, and they hadn’t made it into the front of any projects because of the “brown” problem. They are beautiful and interesting up close. Thanks for looking, and I hope you’re finding sewing time! 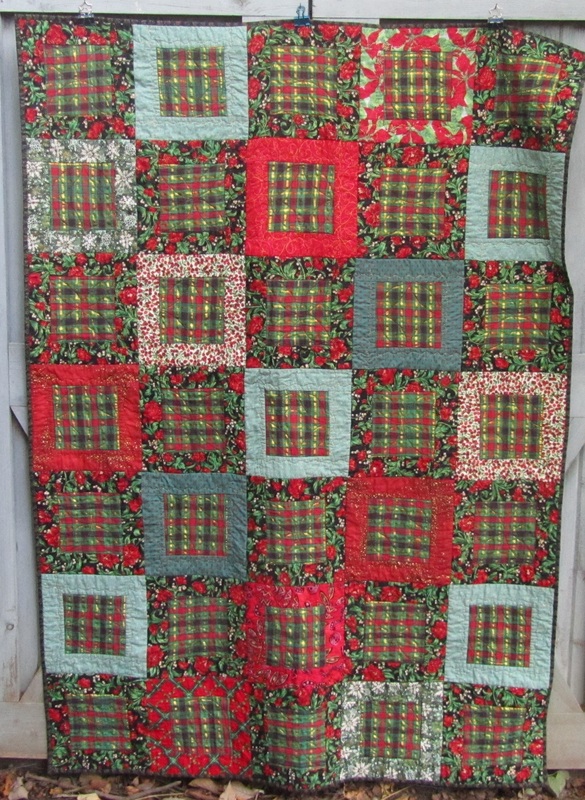 Categories: Finishes | Tags: christmas quilt, Evening in the Garden, superior thread, Valerie Root | Permalink. Here’s what’s going on with more of the Christmas scraps. Its a little dark and busy for my taste, but I’m choosing to regard it as rich and cosy for the winter time. What do you think? The plaid centers completely used up a fabric remnant I’ve had for ages. It’s truly beautiful, but I really don’t know what it was sold for, or why I bought it. I was seduced by the gold threads, I guess. It’s very thin (voile? 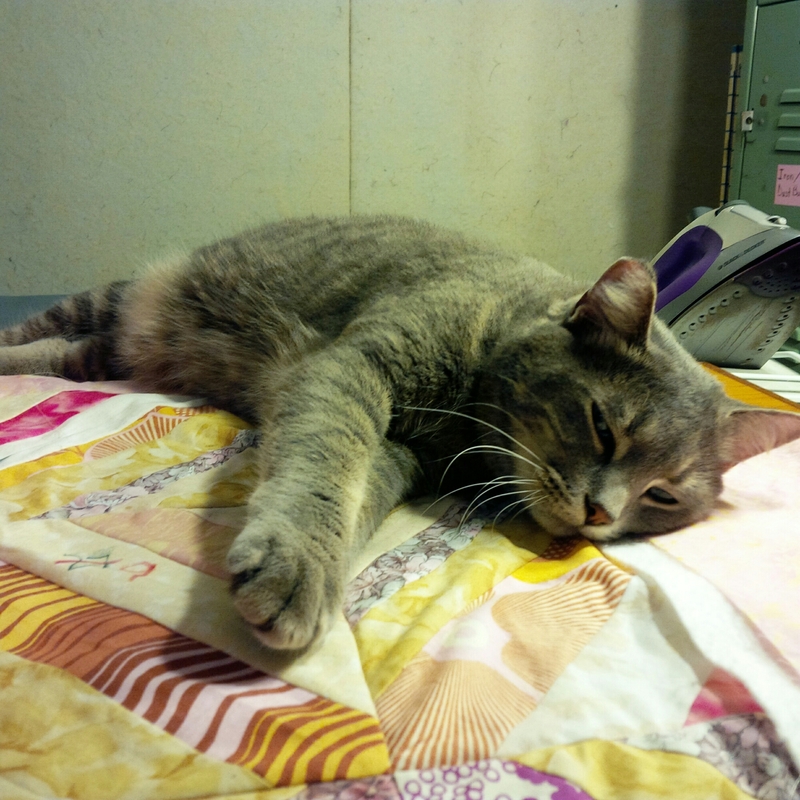 ), and when washed became a wrinkled mess, which ironed into a very crooked plaid. After years of looking at it, I finally found the patience to cut into it. I thought about using scissors, but I needed every inch of it. 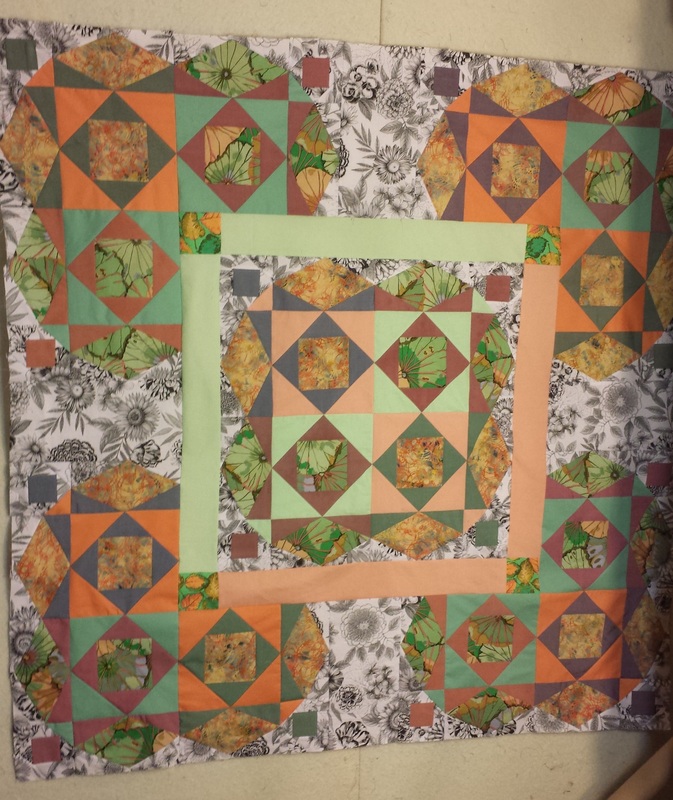 After pinning it together every six inches, I was able to rotary cut it into mostly straight six inch squares. Stabilized by the fabric frames, I think it will work okay in this quilt. So what’s on your design wall? I’m linking up with Design Wall Monday at Patchwork Times.